LIMIT TO 500 PEOPLE MADE !!!!! Open competitions on the run! Everyone can take part! They are conducted for the first time and include: running for different distances (0.5 km - for children, 1 km, 3 km - "people start", 10 km, and 21.1 km.). 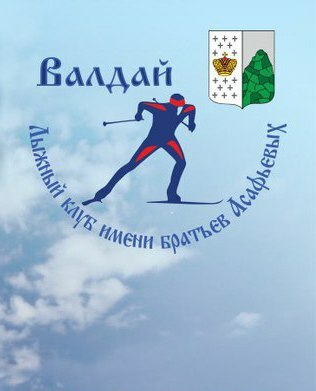 The main organizer of this launch is ski enthusiast Fomichev Vladimir, deputy president of the club. We offer you the opportunity to combine running and visit to the beautiful city of Valdai. You will feel the peculiarities of the Valdai color. The race track runs along the picturesque Valdai places along the Valdai Lake. You have to overcome the track with descents and ascent of a small slope. The run takes place in the vicinity of the city of Valdai, in the fresh air, against the backdrop of beautiful landscapes. We offer you not only a run, but also an opportunity to return to the atmosphere of simplicity, sincerity, mystery and time of unity with nature. At the finish line, a medal of metal is prepared for each participant - a miniature copy of the monument, located in the center of the town of Valday. Find yourself, find peace and be recharged by the power of nature together with the Valdai half-marathon! Valdai - it's close! The launch site is located on the lake of the city of Valdai. The city of Valdai itself is located in the Novgorod region on the federal highway M-10 Moscow - V.Novgorod - St. Petersburg. Right in the middle of the two capitals. It is very convenient to get there. Only 4 hours from two capitals! The organizers reserve the right to change the program of the competition.